Contains Affiliate Shopping Links to Amazon.com. All Items Purchased by Me. Note, I’m not an affiliate of Tata Harper (though I’d like to be) and I bought the products mentioned in this post. For a while I’ve been intrigued by the fact that many high end department stores carry the Tata Harper line (and usually no other “natural” brands). And as much as I fight the bias, I generally imagine/expect that high end stores sell good products. (That does not always prove to be the case of course, and I find amazing products in the drugstore as well. So I go into it knowing that not all cosmetics anywhere will meet my standards for natural, and I always try to read labels and make my own determinations about quality before making a purchase.) Yet even with Tata Harper being sold at the most reputable department stores and being “natural,” I still had not tried any Tata Harper products as of last month. I don’t know what was standing in my way. But, finally my subconscious resistance was thrown aside when I saw a sparkingly new product for sale at Neiman Marcus: Tata Harper Be Smitten Lip Treatment. I bought Be Smitten online because I don’t live anywhere near a Neiman Marcus or Bergdorf Goodman (or Saks, Nordstrom, and Macy’s, for that matter). And when I finally got the lip treatment delivered and tried it I was actually less than excited. I thought the pinky color was just ok. The texture was ok, the moisture level was ok, the feeling was ok, and the smell was ok. I robotically put it back into it’s box and set it aside, instead of into my purse. Honestly I don’t know what was up with me that day– sometimes I mystify myself– because when I pulled Be Smitten back out of the box a few weeks later, I decided I loved it and absolutely had to have it in my purse from there on out. 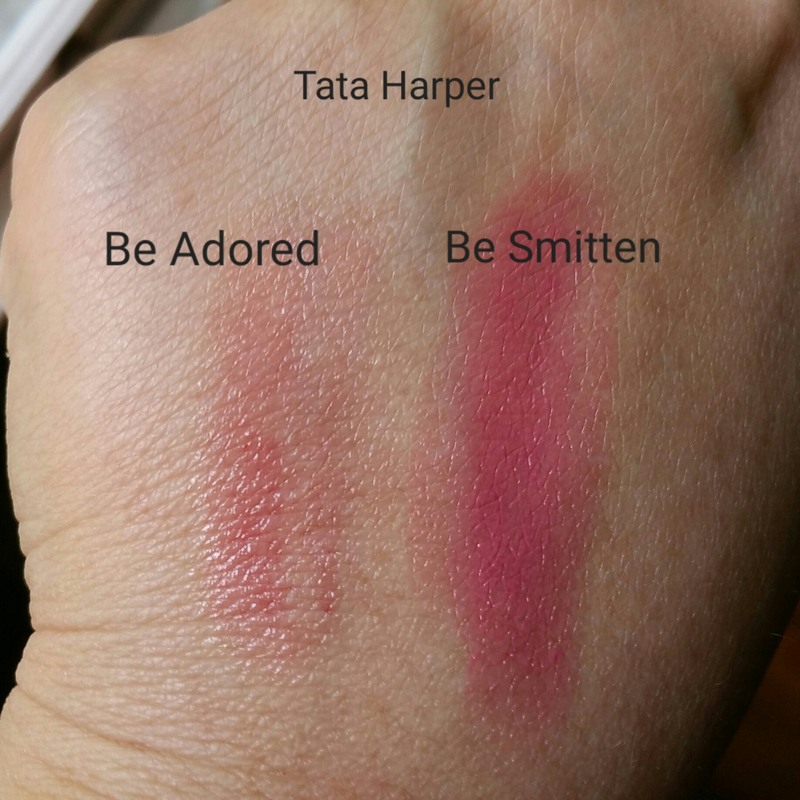 Shortly after that I went back and bought the original tinted Tata Harper Lip Treatment: Be Adored. I was instantly impressed this time. 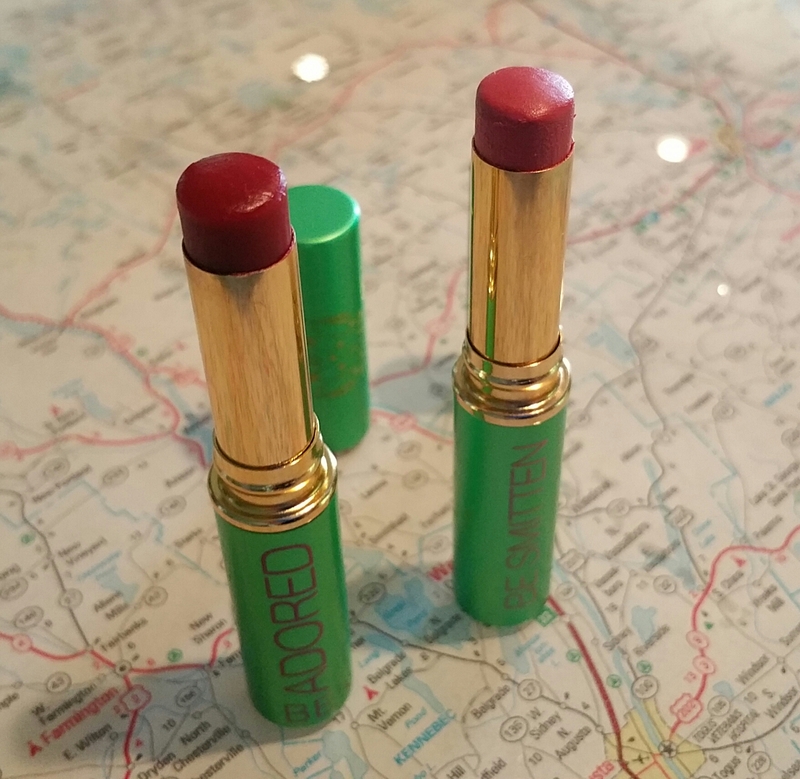 I had assumed that Be Adored and Be Smitten were the same product, in different colors. But that’s not the case. 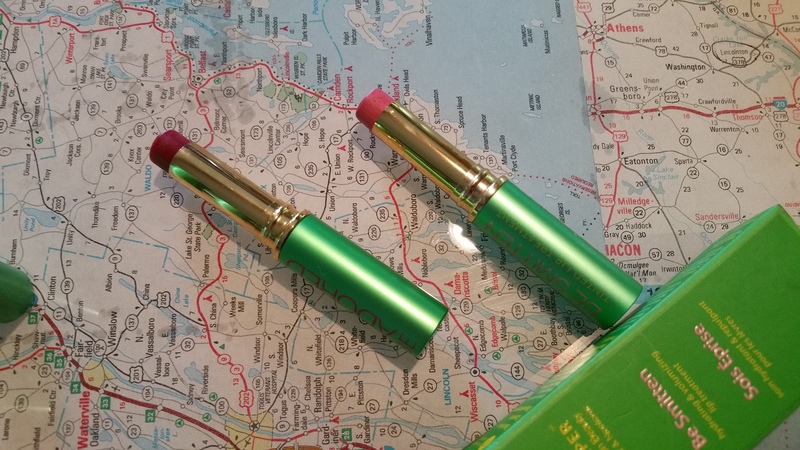 In fact, the formulas of the two lip treatments are different. (Closely compare their ingredient lists below.) To start with, Be Adored is redder than Be Smitten. Be Adored is also sheer and a bit glossier than Be Smitten. 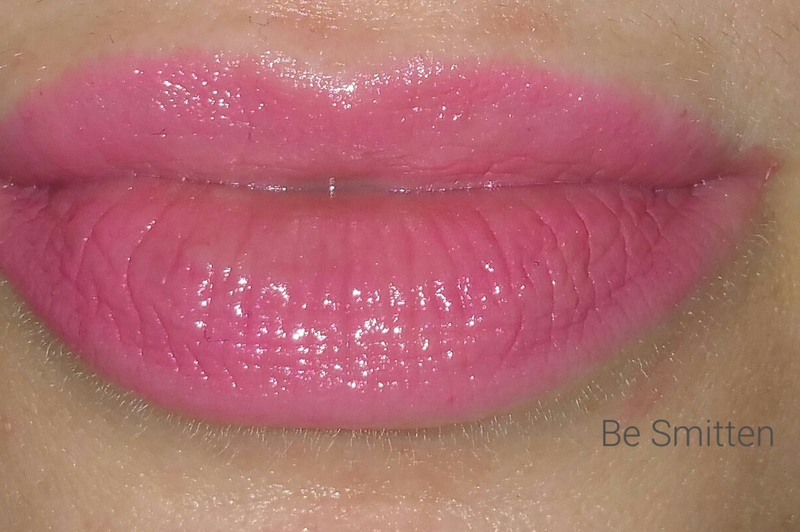 Be Smitten is a tad bit thicker and more opaque than Be Adored. Be Smitten also had a more herbal smell (in my opinion), while Be Adored has an interesting cherry-type aroma to it. However, neither has a specific or artificial taste associated with it. Both smells are unassuming enough to be ignored after application (in other words, they are not going to distract or overwhelm you, in my opinion). I really like Be Smitten, but Be Adored was an instant classic for me. 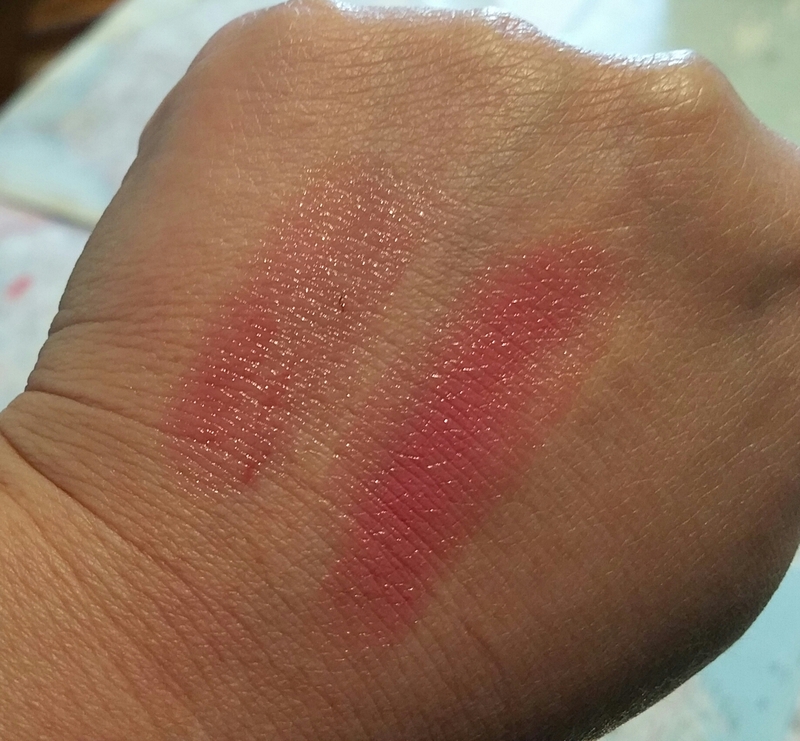 It’s “that” tinted balm that perks up my face and makes my lips look hydrated, no matter what I’m doing or wearing, and it imparts the most sweet, sheer, red tint to my lips. I can’t decide whether the red is cool or warm, so I’d call it neutral. 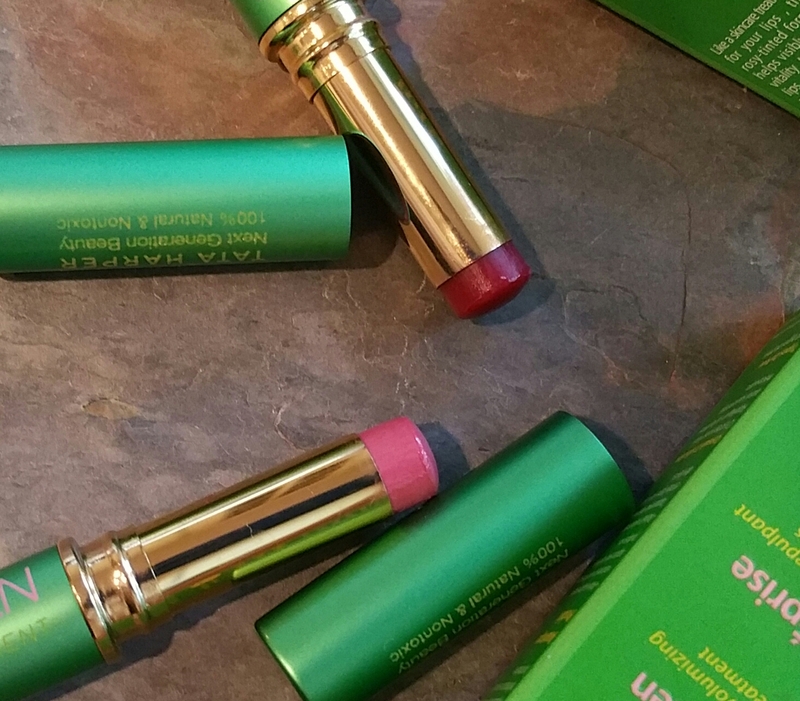 The balm leaves a healthy sheen and certainly conditions my lips. The concept, color, and shape of the tube remind me a tiny bit of Clinique’s Almost Lipstick in Black Honey. But unlike Clinique, Tata publishes her ingredients and takes pride in how she formulates her products. (Regarding that, it is very frustrating for me that Clinique seems to hide its ingredients. It’s close to impossible to find Clinique ingredients unless you have a product with packaging in front of you. So I’ve kind of given up because it’s too hard to track them down.) Anyhow, Tata Harper’s Be Adored is my grown up equivalent of Cherry Chapstick. I really think it’s my newest Holy Grail product. Wearing Tata Harper Be Smitten Lip Treatment. Wearing Tata Harper Be Adored Lip Treatment. 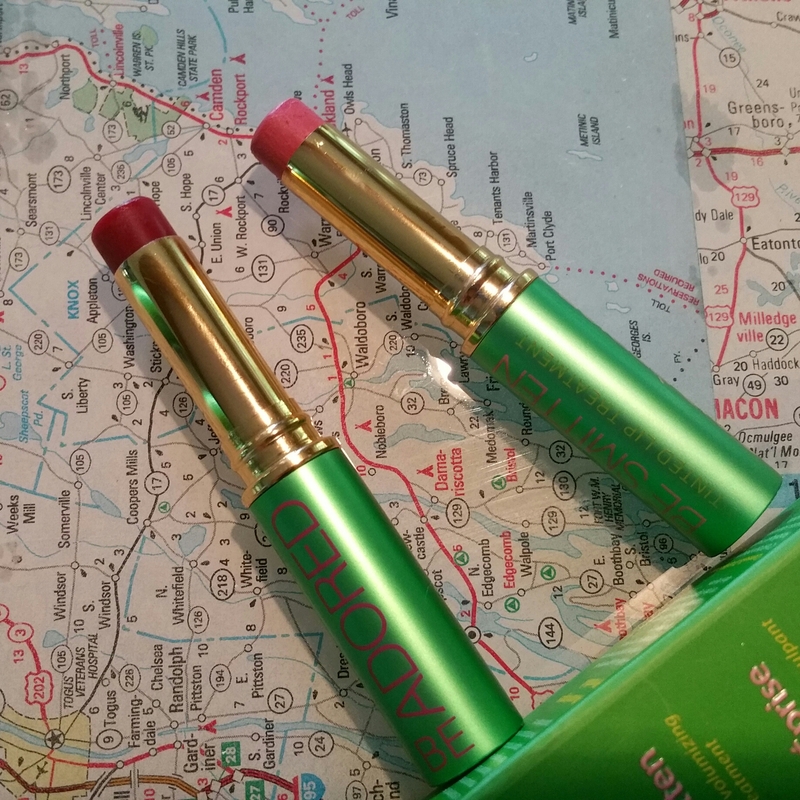 Be Adored and Be Smitten are now mainstays in my beauty and skincare routine, and at least one of them is always in my purse now. And I’ve moved onto other Tata Harper products as well. Coming up I will review and swatch several Tata Harper Volumizing Lip & Cheek Tint colors, and I will review some of her skincare products. So, do you like this brand too?